Although IAP Zurich had been trading for many years when they first approached Canny, their business was running solely off referrals and their great reputation. 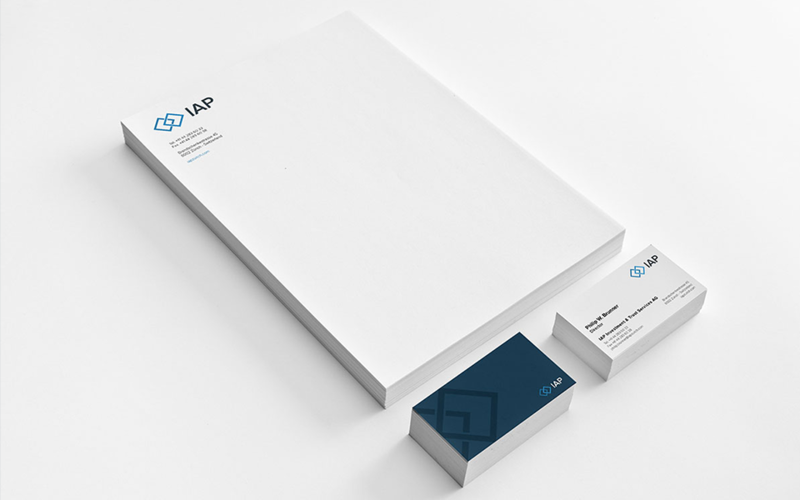 We worked with IAP to create a professional brand identity that appeals to their target demographic. 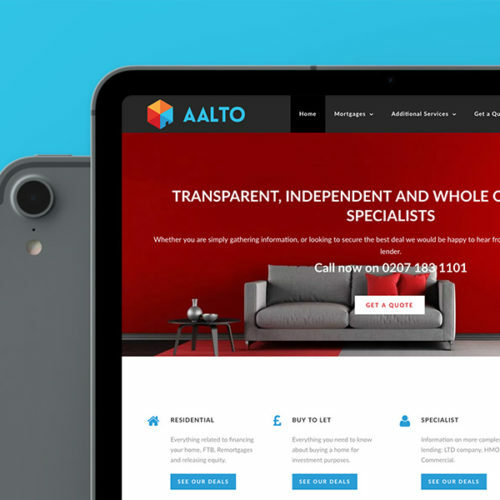 From there, we developed IAP's first ever website, which generates a steady stream of leads for the company. Recently, we've added multi-lingual support to the IAP website, making IAP's financial services available to a wider audience.
" We reached out to Canny when we were seeking professional brand expertise. We remain thoroughly impressed with the work performed by Canny and it has been a great pleasure developing our business together with such distinguished experts. We have since continued to work with Canny on other projects." 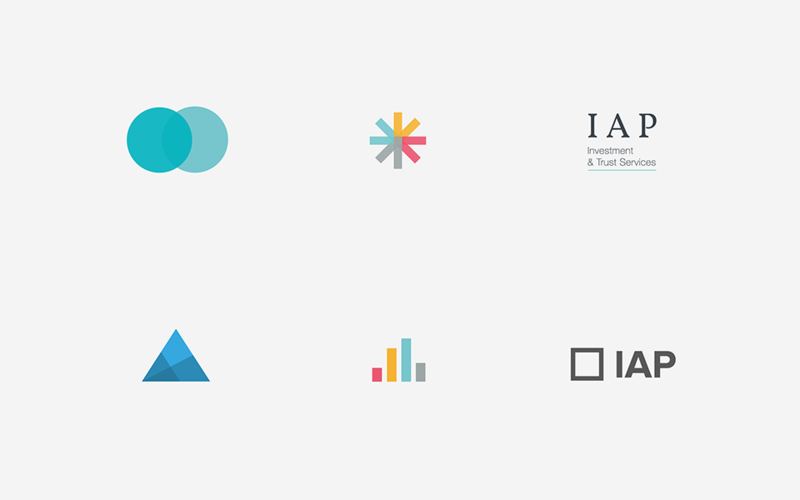 With no existing identity at all, we had a completely blank slate when it came to creating IAP's brand identity. IAP value partnership and collaboration with their clients, as well as the results they generate for their clients. 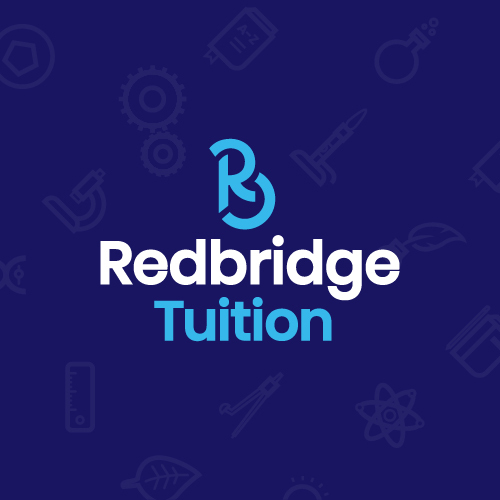 Initial design ideas for the brand included showing the value IAP provide their clients, and how investing with IAP works. 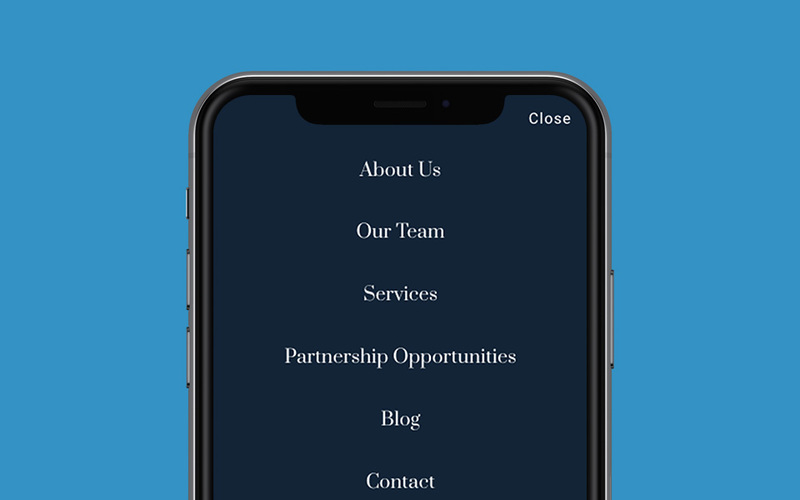 However, with IAP being a "people first" company, we felt that the brand identity should be built around the intersection and overlap between IAP and their client. 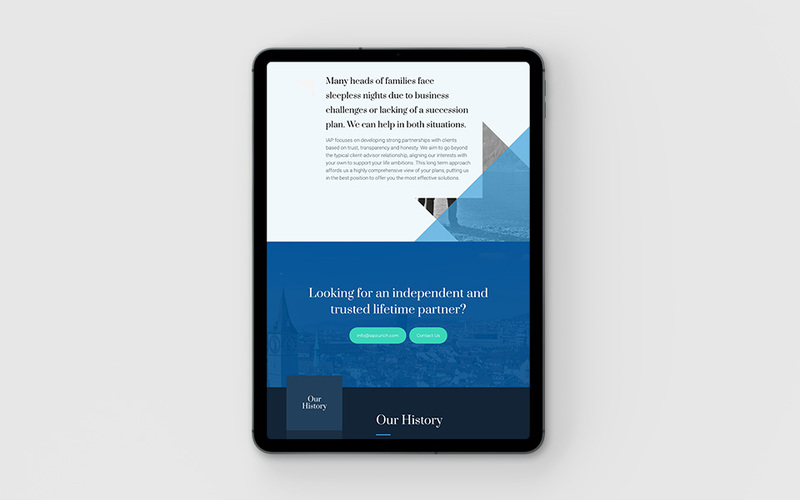 As IAP had little to no experience working with a professional branding agency, we lead them through the entire branding process and explained our ideas to them along the way. We developed our early ideas into what eventually became IAP's logo mark. Two overlapping entities, representative of IAP and their client. This in turn creates a right facing arrow, to represent progress and development. We paired the logo with a modern Swiss typeface to give the company a progressive look. 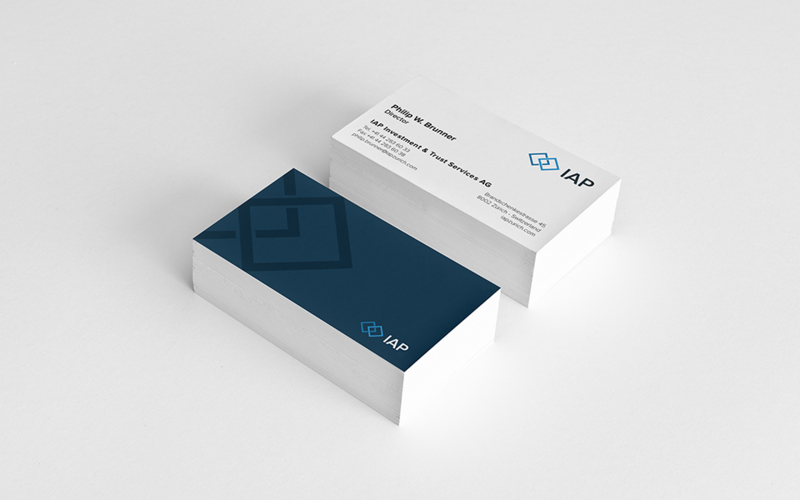 In the past, IAP had been using a very simple black and white business card design. They were also printing off letterheads in house on a case-by-case basis. We kept the letterhead design as simple as possible, because the letters IAP send to clients can be very in-depth. On the business cards we had more room to push the brand concept and used the logo design to watermark the reverse of the card. We created a website design that used shapes and colours from IAP's brand identity to enhance the concept of overlapping. The photography chosen plays on the idea that everyone faces challenges and obstacles, but you can overcome them with teamwork and collaboration. 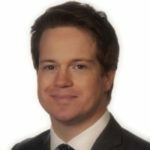 One of the key challenges facing the IAP team was explaining why their service is different to other wealth management firms. Generating leads from the investment into their new websites was another challenge we faced. 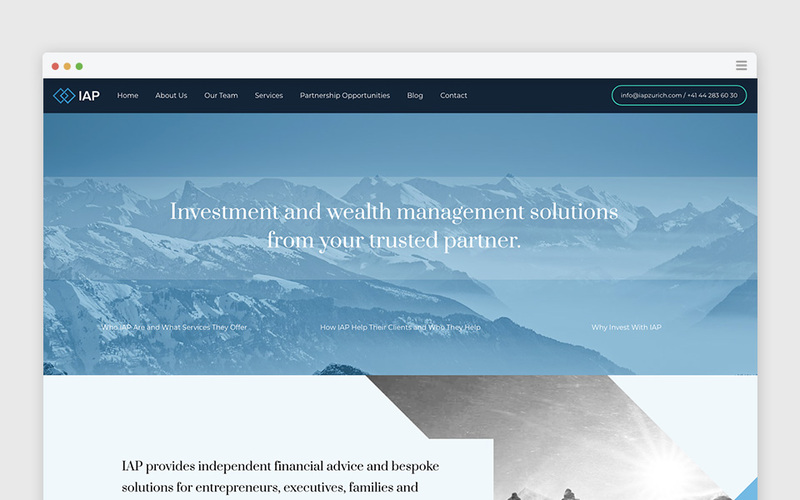 We added a blog section to the new website that allows IAP's Directors to share thought leadership pieces which not only build trust and show why they're different, but also attract new website visitors, in turn generating leads for the company. IAP's vision is to "become a client's independent and trusted lifetime partner and establish long-term relationships that will be passed on from generation to generation." To do that, it was important that website built trust with site visitors. 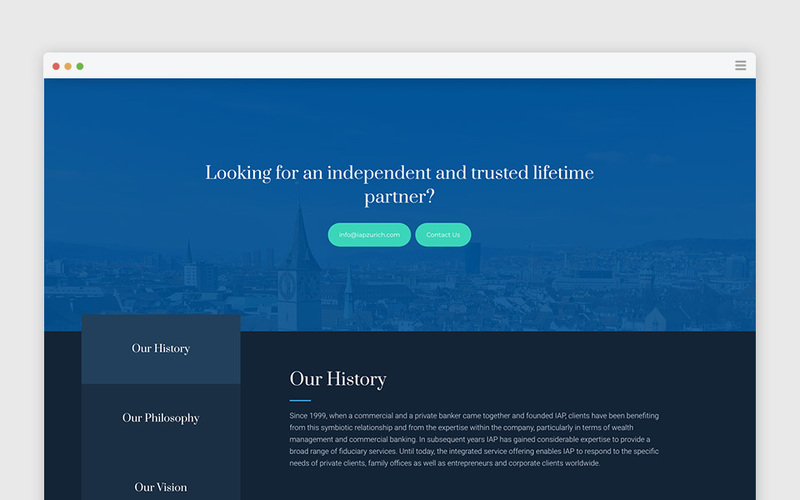 The website content features the company's history, philosophy, and vision, with the aim of educating the visitor and showing there's real people behind the company that have their client's interests at heart. The IAP website is both mobile friendly, and built on the Wordpress platform. This allows for easy content management and regular updates. Changing the perception of UK based mortgage brokers. 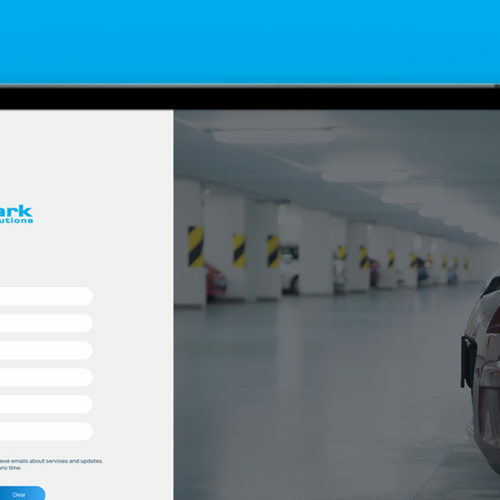 Reimagining software for the car parking industry.